(Finally!) A Sephora & Lush Haul! First off, I just want to say I hope you guys like the changes to the blog layout. I've been meaning to change the width of the page to allow for bigger pictures as I know it can be annoying to have to click each picture to view it in full size. Let me know if you guys like this layout and the bigger pictures! :) Now on with the actual post! Nonetheless, the value is still good since you're paying $5 per product. I have already tried out a few of these samples and so far, so good. 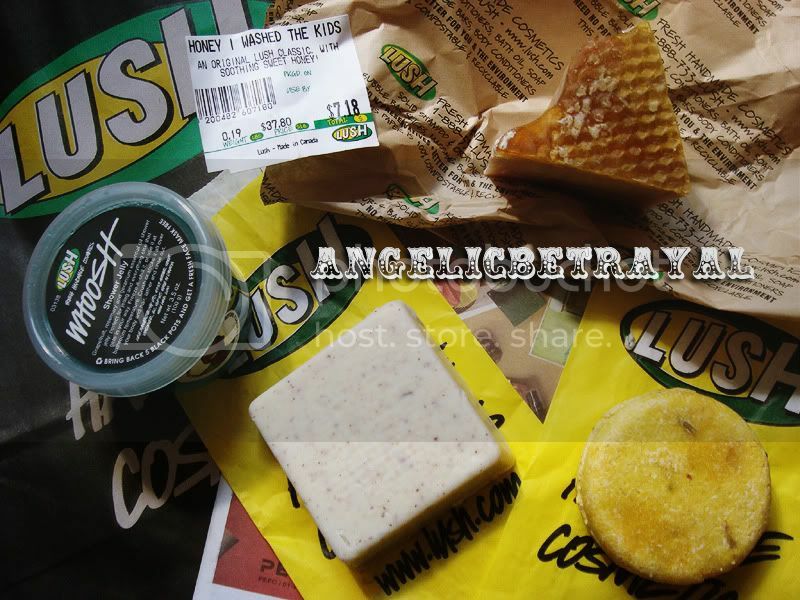 I also stopped by Lush to pick up a few items that have been on my wishlist for awhile. I picked up Whoosh shower jelly, Buffy body butter, Godiva solid shampoo, and Honey I Washed The Kids soap. Expect reviews on these products in the upcoming weeks! I'm super excited to try all of these new bath, body, and hair care products out especially since school is about to start and I know I'm going to be exhausted when I get home. I feel like having unique and somewhat indulgent bath and body products soothes my mind and it gets me excited about hopping into the shower. I love to see haul posts too :P Always interesting to see what others get! How is the josie maran argan oil? I love Honey I Washed The Kids, definitely a LUSH staple! GABY: I like it so far but I don't love it like most people :( Glad you love it though!